March | 2015 | ohdenny. 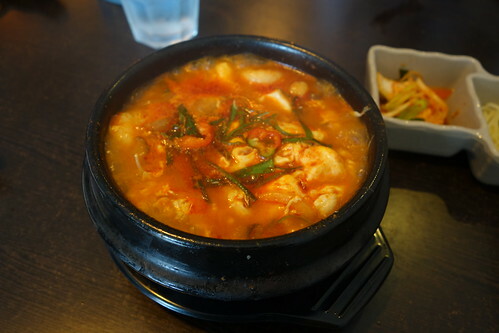 Arisoo on Victoria Street, Richmond is one of the few (but increasing) number of Korean restaurants around town. Towards the Hoddle St end of Victoria Street, the type of Korean cuisine is quite similar to many other Korean restaurants such as By Korea or Seoul Soul. One of the things I like about Arisoo is service is great, and definitely value for money with their lunch specials and of course, delicious Korean food. 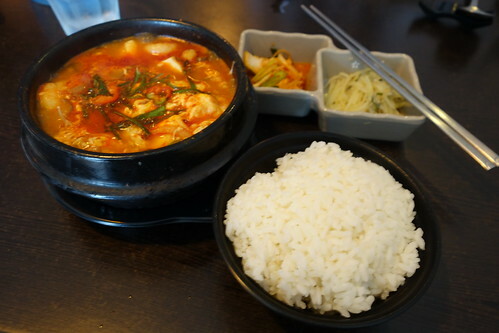 Their Spicy Tofu Soup with rice is one of my favourites, it’s not overly spicy and has just enough sweetness to balance. Dishes here are usually served with complimentary side dishes. 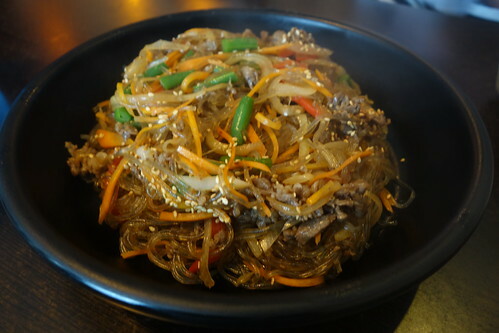 Arisoo’s Chap Chae (Jap Chae) is also a winner in my book. Some restaurants just can’t seem to do it right, but here it comes close to my all time favourite Chap Chae from Don Udon in Box Hill although just lacking that certain kick in flavour. Having dined at Arisoo on numerous occassions, I haven’t actually found something I hadn’t liked! With great tasting dishes, lovely service and often or not seating always available. It’s one of my go-to’s for Korean food in Richmond. 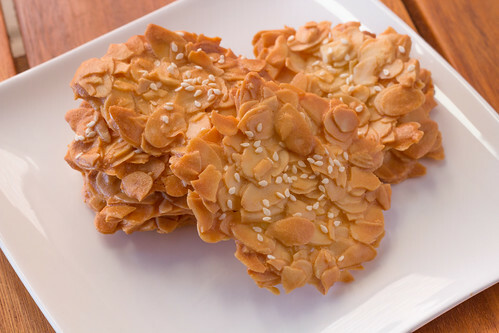 Wafer thin almond cookies are incredibly addictive. 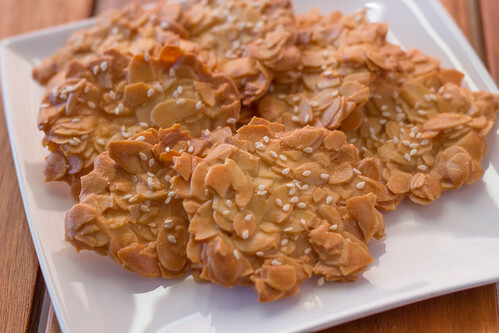 I found this recipe by Alan Ooi from his recipe book In Love with Cookies and adjusted it slightly for sweetness. 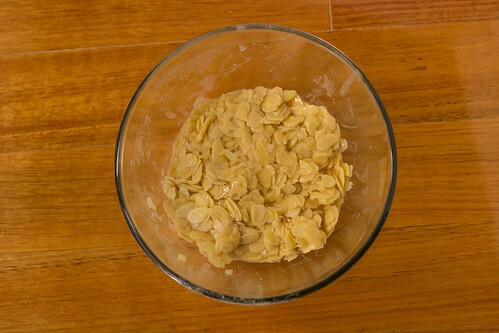 The thinner you make the cookies, the more evenly crunchy it will be. 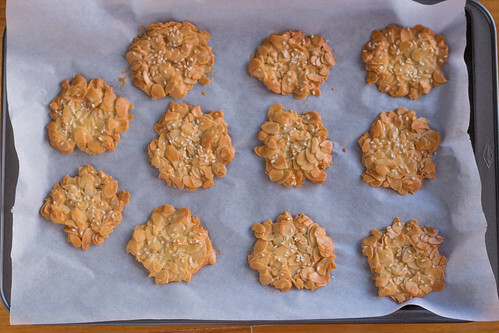 If you prefer a bit of density and for some bite, just make the cookies slightly thicker. 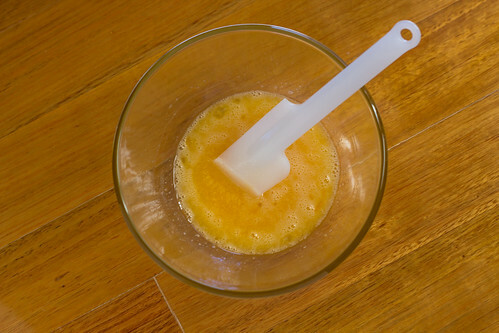 This recipe is pretty easy to make, and perfect for some fun with children. 1. 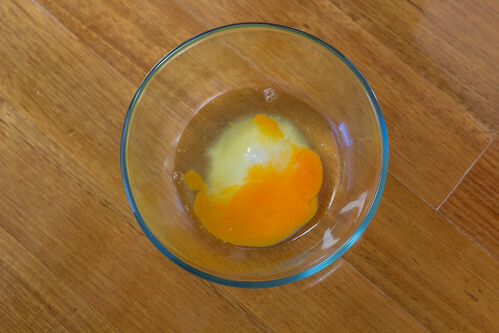 Put sugar, egg and egg whites in a bowl and mix until well combined. 2. 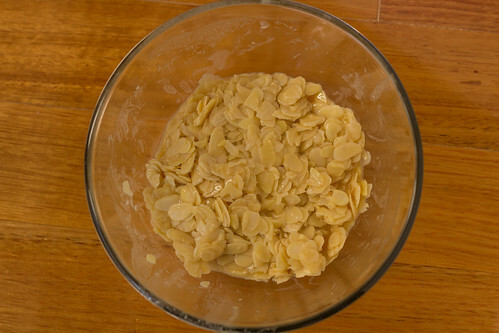 Stir in sifted plain flour, then add in almond flakes. Stir lightly until well mixed. 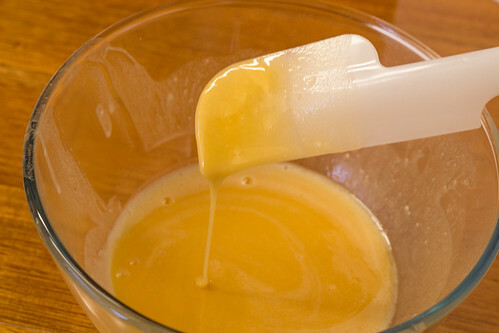 Set aside the batter for 30 minutes. 4. 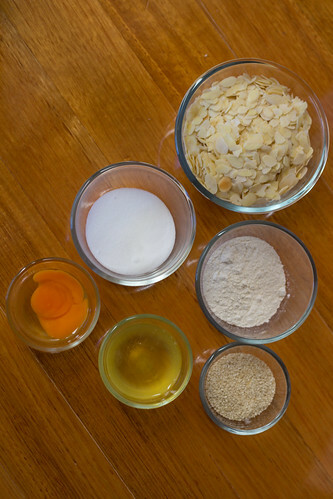 Use a spoon to take 1 tbsp of batter, place on a baking tray and make into thin slices. 5. Sprinkle the sesame seeds on top. 6. 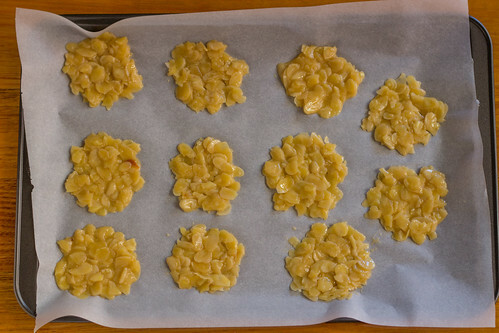 Bake the cookies at 165C for 15 minutes to 20 minutes or until golden brown. 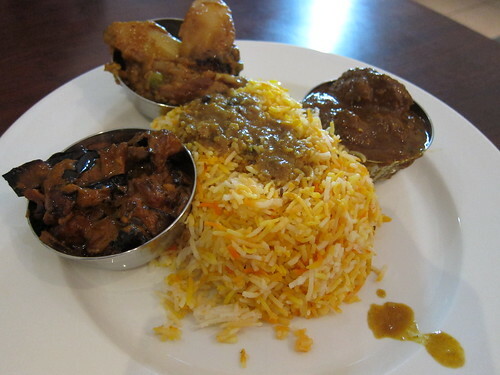 Their Nasi Briyani is rich with flavour, aromatic however the rice served was not as dry as I would have liked. The curry accompaniment adds the creaminess and spices to the dish, and for something to cleanse the pallet a bit it is also served with a yogurt side dish. 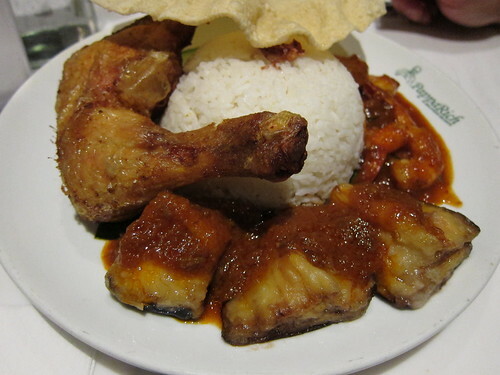 You can also order something like Nasi Kandar, selecting a few dishes with rice. Here is their Sambal Eggplant with rice, it’s actually quite nice, with just enough spice and sweetness in the sambal. The sambal isn’t as good as it is in PappaRich but overall it’s a pleasant meal. 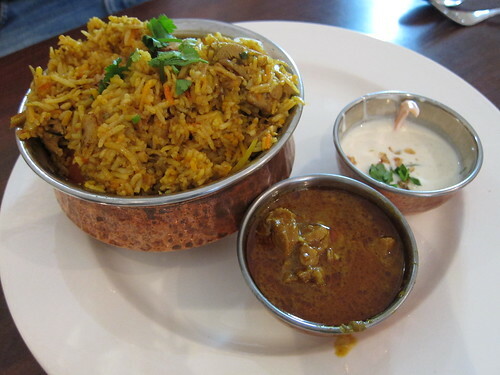 The flavours of the dishes we ordered are on average quite tasty and probably on part with India Delights. I haven’t had the chance to frequent Corlam Kitchen often but I definitely will. I’ve dined at most of the PappaRich stores in Victoria and the Glen Waverley and Chadstone stores I would say are the best of the bunch. Although, I’ve heard from numerous people the Doncaster outlet is above all, I have actually yet to try it even though it’s now the closest one to me. Go figure. 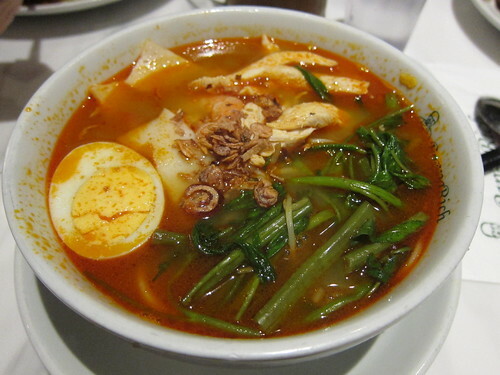 Malaysian cuisine has almost become part of the Melbourne dining experience with Nasi Goreng or even Laksa as commonly known dishes to most. 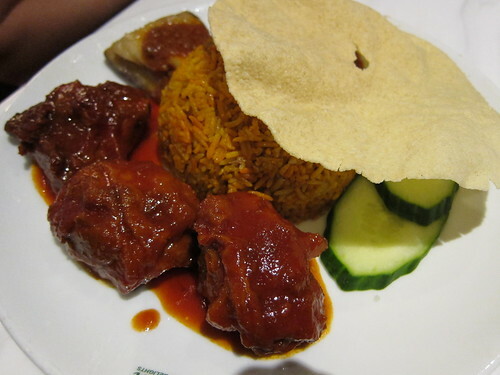 What isn’t as well known is probably the more Indian or Malay influenced Malaysian dishes such as their Nasi Kandar style dishes which is usually rice served with curry and side dishes. 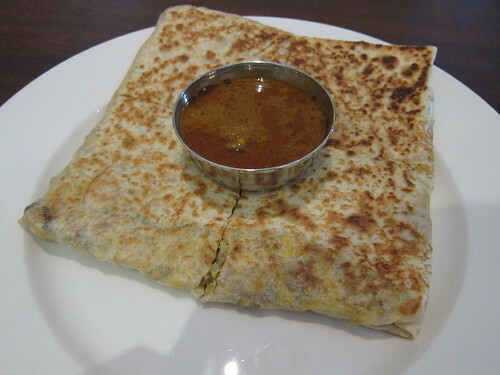 PappaRich has a decent selection of menu choices such as beef rendang or curry chicken or even prawns and eggplant for instance. Generally, I would say you can’t go wrong with it and the Biryani offerings I would say are pretty darn tasty. Their Har Mee (Pappa Prawn Mee) is one of my favourite Malaysian dishes. Some restaurants tend to water down their prawn soup base, but here it’s still full flavoured. My only con is that it’s just overly oily. Otherwise it’s something I can probably rely on being satisfied with. As mentioned before, PappaRich Glen Waverley is one of my preferred PappaRich outlets and both service and food quality is above average. Although finding a table during peak times can be the most challenging issue of it all. Queuing is almost the norm there. However, to be honest I would probably prefer to dine at Petaling Street for my Malaysian fix at Glen Waverley. Though, you’re really spoilt for choice with Kitchen Inn, Straits of Malacca and O’Town all within walking distance from each other.